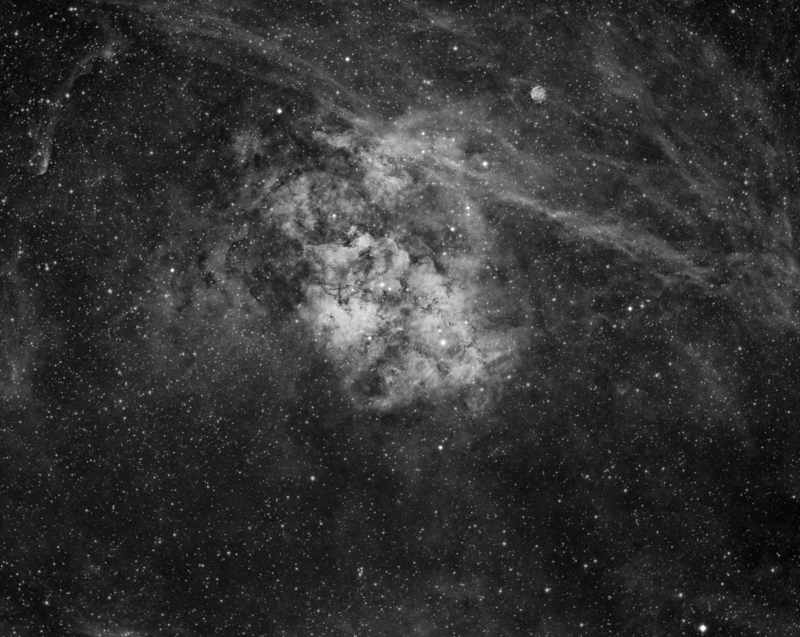 Sh2-115 is a faint emission nebula cataloged by S.Sharpless in 1959. It is located in Cygnus, just 1 and 2 degrees northwest of Deneb, the brightest star of that constellation. Sh2-116 or Abell 71 is the designation of the small round patch of emission nebulosity to the upper right of Sh2-115. It is also known as Sh2-116 and PK85+4.1. The latter being designated as a planetary nebula, but it has more recently been described as a small patch of emission nebula.